Children should be allowed to experience new activities in school, and Health and Safety legislation should be used to allow them to do just that. Contrary to popular belief, Health and Safety in schools is all about enabling children to be adventurous (but to do so safely) – not stopping them. While children must be given the freedom to learn that risk is inherent in life, teachers must be given the training they need to reduce risks as much as possible. A common sense approach to Health and Safety – and abiding by current legislation – is therefore essential. What does the law say about Health and Safety in School? 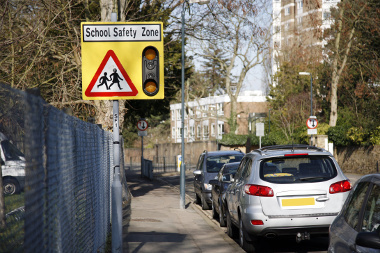 Safety in schools is covered by the Health and Safety at Work Act and other subsequent regulations. It is the employer’s responsibility to provide a safe working and learning environment. In the case of schools, the employer is usually the local authority or owner of the school. There is also a duty under common law for teachers and school governors to protect children from harm. Whilst it is very rare for a school employee to be prosecuted in relation to an accident in school, it has been known. In most cases, prosecutions are brought against the local authority or governing body. In our experience health and safety is an aspect of school management that is not well managed by schools. Whilst teachers undoubtedly have the interests of children at heart, it should be remembered that there is a legal duty to ensure the safety of staff, contractors and others – an area of compliance that is frequently overlooked. Foreign travel – Trips abroad will usually require a very specific risk assessment – relating to the country being visited. Although deaths and injuries are usually subject to the law of the land, civil action may be taken against staff and school management in the UK for injuries that happen to children while they’re abroad. Accident reporting – All accidents must be officially recorded and reported under RIDDOR regulations. The rules around RIDDOR are potentially complicated. We recommend that senior staff visit the HSE Website – simply Google ‘HSE RIDDOR’ for more information. All schools should appoint a trained EVC (Educational Visits Coordinator). Parental consent for out-of-school activities – The majority of school trips require written consent from parents or legal guardians. Britrisk Safety are specialists in educational health and safety. Those of our Safety Advisors who look after our school clients are school governors so we know and understand the related issues and common problems experienced by school staff. We are always pleased to offer advice with no obligation. We will also carry out a health and safety audit for your school, and as a part of this to offer you detailed guidance.